This seminar due to take place on Wednesday 4th June presented by Dr Wendy Moncur, Duncan of Jordanstone College of Art & Design, University of Dundee has been postponed. Details of new date and venue will be available soon! Please contact Rosanne Bell (r.c.bell @dundee.ac.uk) for further information. Dr Gozde Ozakinci, Associate Director of SDHI is hosting the above Seminar which will be presented by Professor Eila Watson, Oxford Brookes University on Thursday 22nd May at 4pm in Seminar Room 2, School of Medicine, University of St Andrews. Making Healthcare Decisions: Is Your Voice Missing? As part of Cafe Science Dundee, SDHI co-director Professor Thilo Kroll, will be giving a talk entitled ‘Making Healthcare Decisions: Is your Voice Missing? on Monday 26th May at 7pm in Avery & Co, 34 South Tay Street, Dundee. Everyone has the right to receive the same health care quality and everyone should have the right to be involved in decisions about health care. These rights should also allow anyone to participate in the research that leads to improvements in health. But what if your voice is not heard, just because you are disabled? Come and find out about the barriers that people with disabilities face in making their voice heard and their views known in health care. 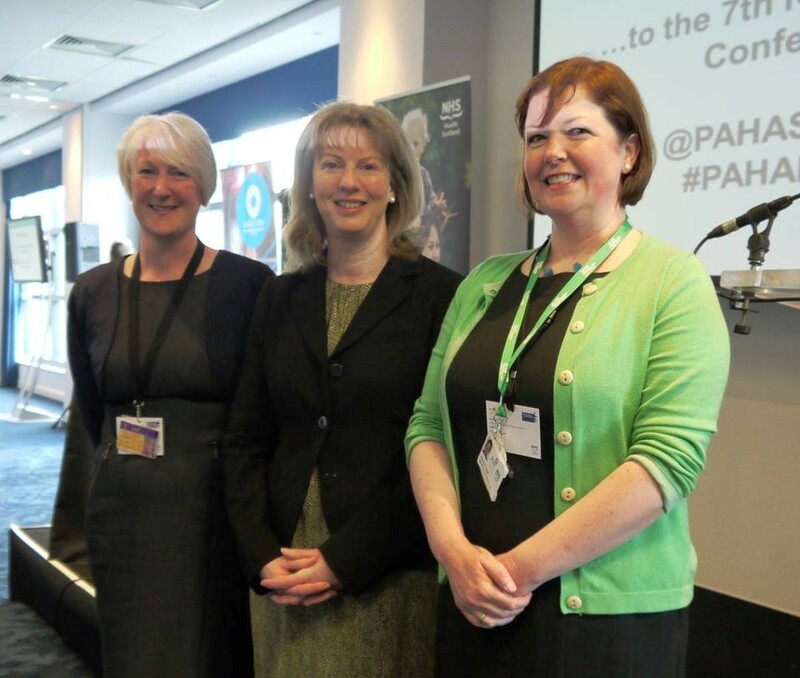 A team from NHS Tayside and the University of Dundee has won a prestigious Physical Activity and Health Alliance award from NHS Health Scotland for promoting physical activity in palliative care patients. A palliative care exercise programme encouraging people living with cancer and other long term conditions to be more active won the ‘raising physical activity awareness’ category at the awards ceremony held in Edinburgh. The exercise programme was developed to implement and test in practice research evidence about the benefits of physical activity. It was developed by Mandy Trickett, Macmillan Specialist Physiotherapist at Macmillan Day Care and Dr Jacqui Morris, Allied Health Professions Research Lead with NHS Tayside and a Senior Research Fellow at the Social Dimensions of Health Institute, University of Dundee. The project was supported by practice development apprenticeship for Allied Health Professionals delivered by Dr Morris. Dr Morris said, “Implementing evidence from research into practice can be challenging, but we worked hard to develop a programme to meet the specific needs of the patients. Mandy said, “Patients and staff have become much more aware of the benefits and importance of keeping active in every aspect of life. “This project helped us understand what patients prefer as we develop activities such as walking programmes within Macmillan Cancer Support’s national ‘Move More’ programme.